Caused by various fungal species. 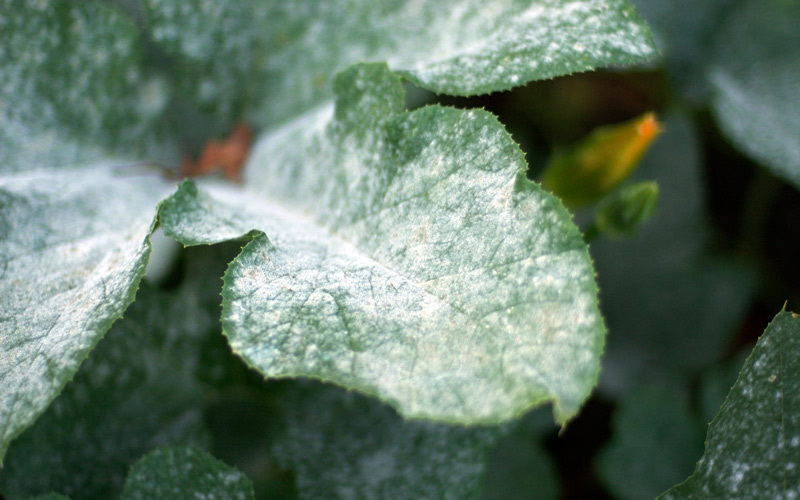 Infected plants develop a distinct white powdery film that covers their leaves. 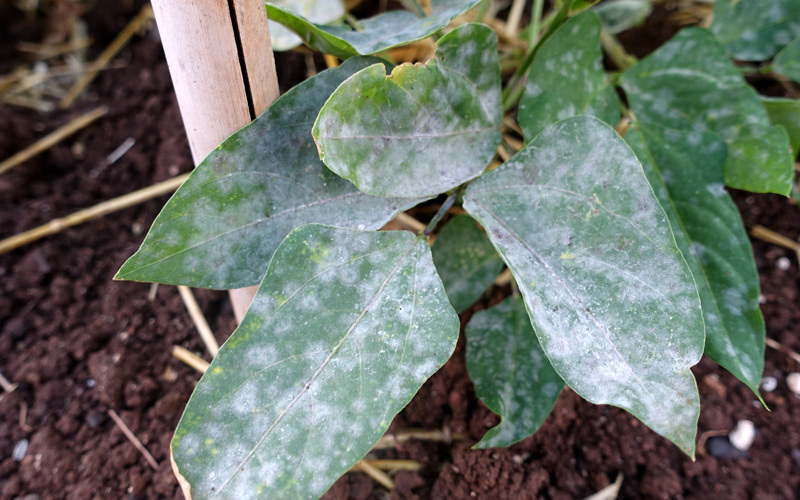 Commonly found on a large range of plants, and is very common on pumpkins, cucumbers, courgettes, and dahlias – particularly towards the end of their growing season in autumn. 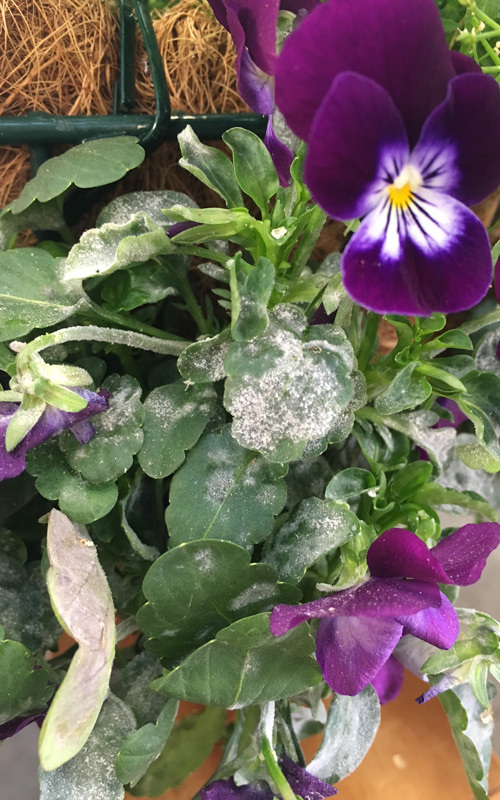 Mainly a problem when it affects plants early in their growing season, as it can significantly reduce the plants’ yield of fruit, attractiveness and the length of life expectancy. 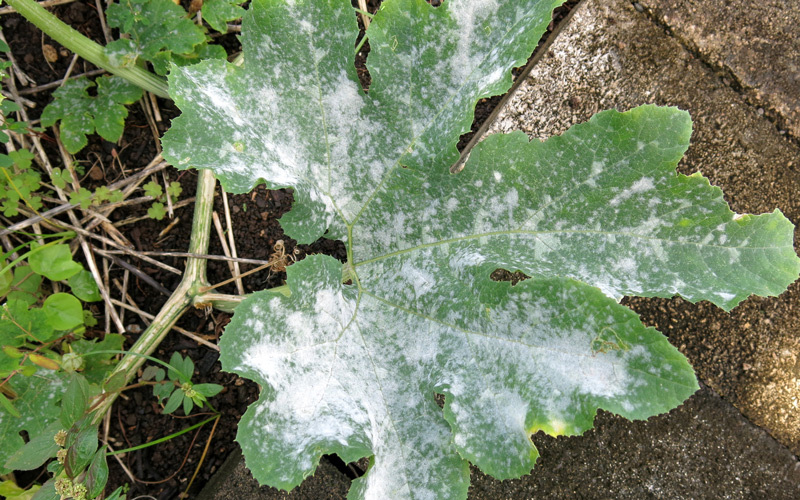 Sometimes confused with downy mildew, however it can easily be distinguished as the powdery film only forms on top of leaves and doesn’t penetrate the leaves or form on the underside. Keep plants healthy, well fed and watered. When planting, leave enough space between plants to ensure that air can flow freely around the plants. When watering, avoid wetting the foliage and if possible water in the morning. 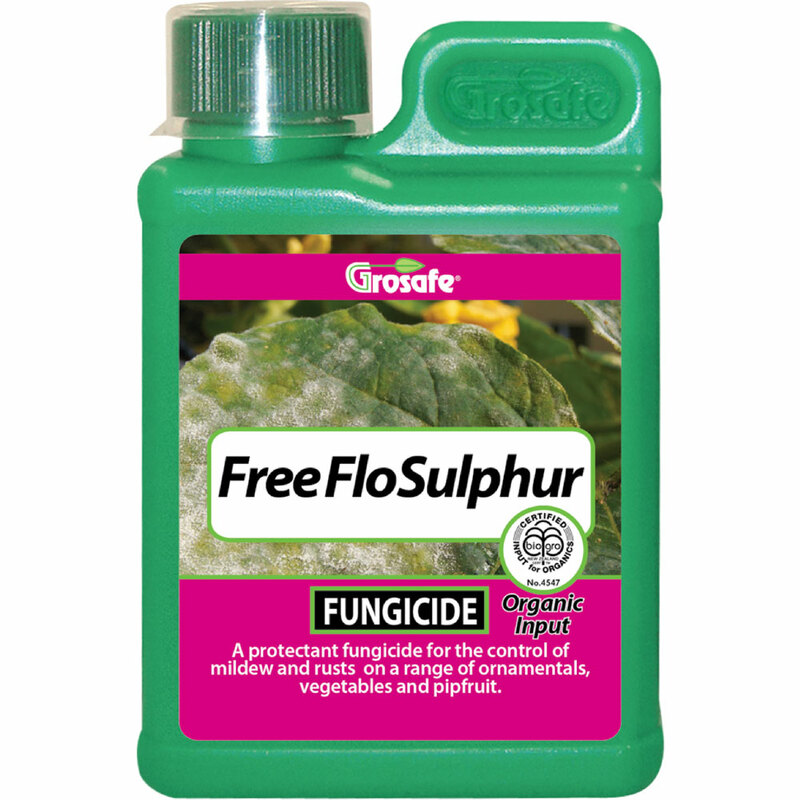 Spray affected plants with Freeflo Sulphur. It’s an effective organic solution suitable for edibles and ornamentals. 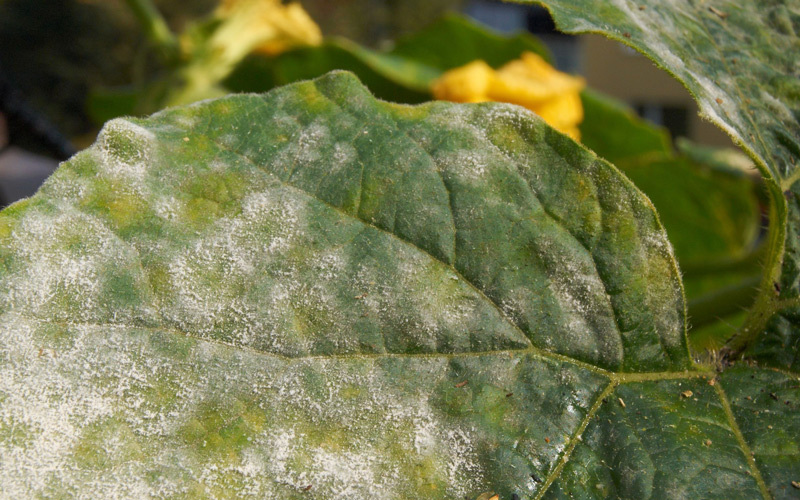 On cucurbits (pumpkins, courgettes, etc) treatment is only necessary if they are affected badly, or affected early in the season, as some powdery mildew is inevitable towards the end of the growing season. Note: don’t confuse this with Lime Sulphur as this can cause your plants to defoliate. 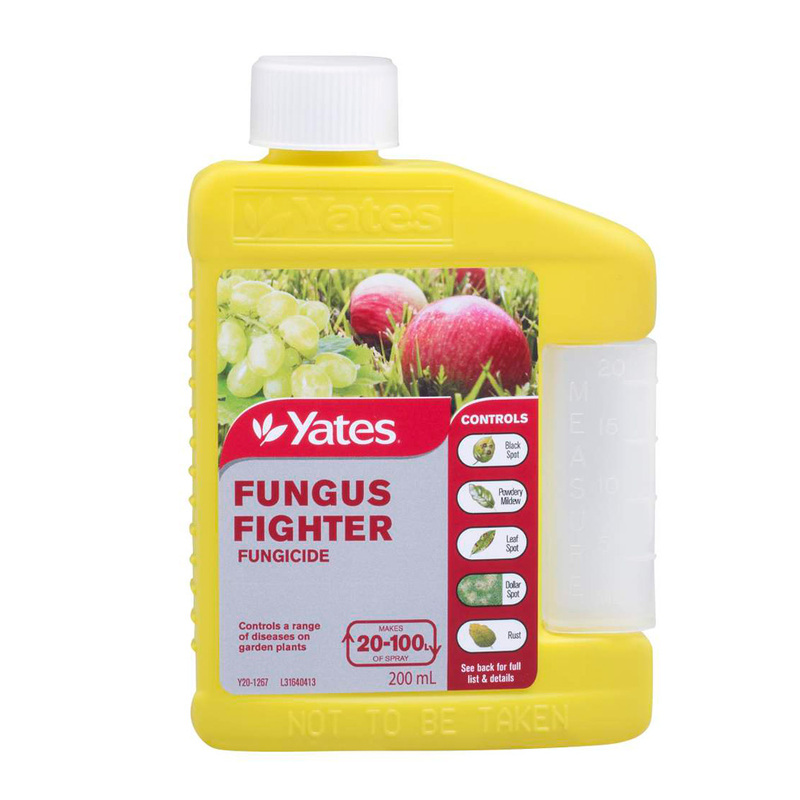 For severe cases on ornamentals, use Yates Fungus Fighter. Apply at most 4 times a year and don’t use on edibles.